Can you outsmart cybercriminals? Defend the world from cybercriminals by joining the white hat hacker team Oblivion! 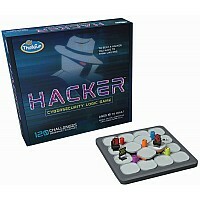 Play the role of a coder, hacker, and security engineer in 120 beginner to expert challenges. Program your agents to collect data chips while avoiding viruses and alarms. As you discover how a hacker can damage your programs, you will learn how to secure them from future attacks! 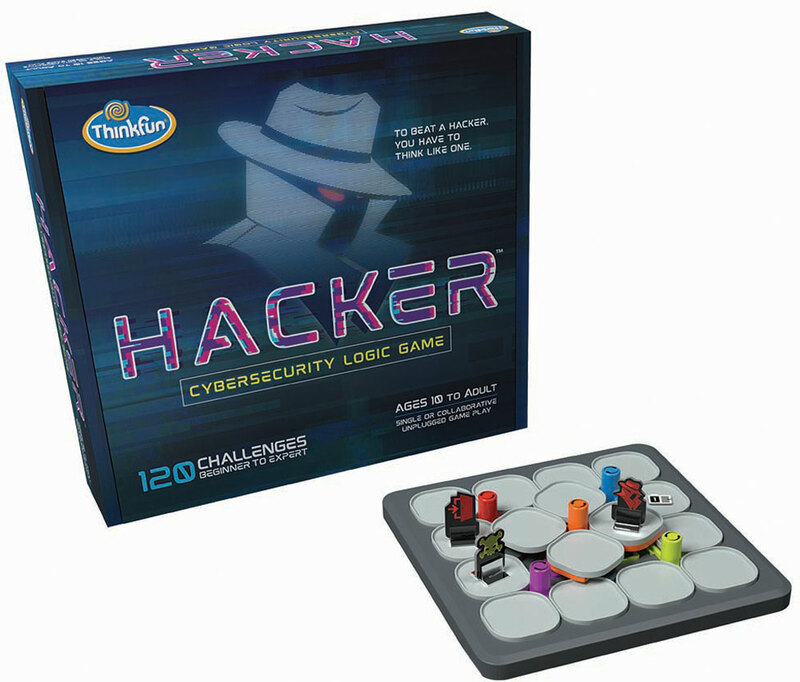 Hacker is a cybersecurity coding game and STEM toy for kids age 10 and up where you learn programming principles through fun gameplay. It includes a game grid, control panel, challenge booklet, 2 agent tokens, 9 movement tiles, 13 revolving platform tiles, 5 double-sided transaction tiles, a transaction link token, 3 data file tokens, 2 exit point tokens, a virus token, alarm token, 2 lock tokens, and a solution booklet. The game is easy to learn with a clear, high-quality instruction manual. You can start playing immediately! Playing through the challenges builds reasoning and planning skills as well as core programming principles, and provides a great stealth learning experience for young players. Recommended for ages 10+ years. Measures approximately: 11.70 x 2.40 x 10.20 inches..